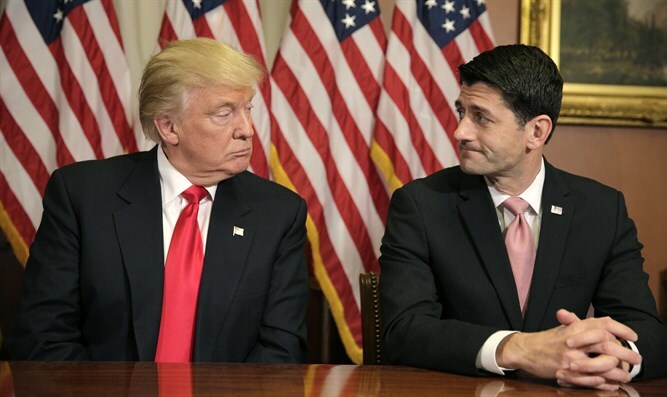 MainAll NewsUS & CanadaIs Trump backing call for Paul Ryan's ouster? Is Trump backing call for Paul Ryan's ouster? President plugs Fox News host's call for House Speaker Paul Ryan to step down. After a bill repealing and replacing much of the Affordable Care Act – colloquially referred to as Obamacare – was pulled at the last minute on Friday when it became clear it would not pass, pressure has been growing on House Speaker Paul Ryan (R-Wisconsin) to step down. Ryan, who led the closed-door effort to prepare the bill, had pledged to secure the 218 votes needed to pass the measure as a Budget Reconciliation through the House and on to the Senate, where it would need only a simple 51-vote majority, rather than the usual 60-vote threshold most bills face. The proposal itself had faced heavy criticism. Democrats and some moderate Republicans charged the bill emphasized tax cuts to higher income Americans while limiting the Medicaid expansion. Conservatives, on the other hand, claimed the law did little to remove the basic framework of Obamacare and failed to implement cost-cutting, market-oriented proposals long pushed by the GOP including permitting health insurance plans to cross state lines, tort reform, and increasing competition in the pharmaceutical market. A vote on the bill was scheduled for Friday afternoon – only to be scrapped at the last minute by Ryan after he failed to secure sufficient votes to pass the bill, despite a 241 to 194 Republican majority in the House. The failure to pass the measure was a blow both to the Speaker and President Trump, marking the first legislative defeat of his presidency. Now, after having backed Ryan’s proposal, President Trump appears to have endorsed a call for the House Speaker to step down. Jeanine Pirro, a former judge for Westchester County turned pundit and TV host for the Fox News network, blasted Ryan on the air Saturday calling on the Speaker to step down. “Paul Ryan needs to step down as Speaker of the House,” said Pirro. Not only did Pirro criticize Ryan during her show Saturday, she dedicated her opening monologue to the issue, spending just over six minutes defending President Trump from the fallout of the debacle – and lambasting the Speaker. “He failed to deliver the votes on his health care bill. The one trumpeted to repeal and replace ObamaCare. The one that he had seven years to work on. The one he hid under lock and key in the basement of Congress. The one that had to be pulled to prevent the embarrassment of not having enough votes to pass. President Trump plugged Pirro’s show Saturday, calling on supporters via Twitter to tune in. The apparent endorsement of the show sparked speculation Trump was made aware of the content of the opening monologue before the program was aired, though Pirro insisted she had not spoken with the president personally about the show. "I have not spoken with the president about any of this,” she said.